 Iran, Oct. 28, 2018 - Last Tuesday, the Iranian regime’s parliament had a session behind closed doors to listen to remarks by two high ranking officials in the government about a controversial issue that has plagued the regime over the past few months and has escalated the tensions between the political factions in the ruling elite. Javad Zarif, Iran’s foreign minister, and Abbas Araqchi, his deputy, attended the parliament to address the issue of the International Convention for the Suppression of the Financing of Terrorism and to brief MPs on the importance of passing it into law for the country. Commonly known as Combating the Financing of Terrorism (CFT), the laws required to conform to international norms are globally standardized by the Financial Action Task Force on Money Laundering (FATF) under nine recommendations that act as guidelines to assess a country’s effectiveness in combating terrorism financing. About a week ago, on October 19, the FATF Plenary, 17-19 October 2018, concluded to give Iran a four-month extension of time to pass the necessary laws to comply with FATF guidelines. Meanwhile, the four bills related to FATF compliance are stuck amid a power struggle in Iran. To comply with FATF’s guidelines, the Iranian regime has submitted four bills to the parliament. A bill for joining the Convention against Transnational Organized Crime (Palermo) and an amendment to the law for combating money laundering have already been passed by the parliament and sent to the Guardian Council. The Guardian Council, despite approving the bills, has returned them to the parliament to counsel for the opinion of the Expediency Council. This back-and-forth has created a new controversy in an already heated debate. “In the session, Zarif said, that Europe has stood firmly on this until now… Zarif said the right systems need to be approved by the regime in this four-months’ time frame. He also said that we shouldn’t damage our agreements and bilateral memorandums with some countries through self-sanctioning,” he added. Bringing the Expediency Council into the equation has further complicated the fights around FATF. As pointed out earlier, the FATF issue is a dilemma that will have negative consequences for the Iranian regime regardless of the outcome. With the second wave of sanctions coming into effect in a few days, especially targeting Iran’s energy sector which acts as the regime’s lifeblood, it is interesting to see how the power struggle around FATF plays out. One thing is for sure, the outcome will have a profound impact on near-term developments in Iran and the region.